Old Man Winter has no sympathy for you or your ride. Give him an evenly-matched fight this season with the perfect winter driving accessories to protect your vehicle. A set of performance wiper blades ensures your vision is crystal clear for safe driving in those harsh conditions. Kick it up a notch with a set of heated wiper blades that keep your view crystal clear, even in snowy weather. Or, protect your entire windshield with a durable windshield cover. Crafted from long-lasting materials, a windshield cover guards the whole surface of your windshield from extreme cold weather conditions, including ice. No more frostbitten fingers and scraping your windshield before your daily commute. What better way to take on tough winter weather than by hittin' the slopes or trails for some serious outdoor adventures. You can't go out into the elements without gearing up your vehicle with all the essentials that ensure your drive is as smooth as possible. 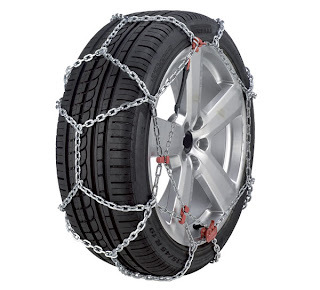 Start by clasping a sturdy set of snow chains to your tires to get you and your family to your destination safely. Available in a variety of sizes and styles, snow chains provide impressive traction in the heaviest of snow. Now that you have your wheels taken care of, make sure you have plenty of room for all your passengers by installing a high-capacity ski rack or roof rack on top of your ride. Tailored to perfectly fit your vehicle, a roof rack increases your cabin space and allows you to store more equipment on top of your ride. No more messy interior from frozen skis and snowy gear. And, to get all your snow toys out there on the trails, load up your vehicle with a trailer hitch. Custom-designs combined with easy installations mean that you spend less time in the garage and more time playing in the snow. So, get a jumpstart this season, bundle up and go enjoy that winter wonderland. Please be sure to support Subcompact Culture sponsor AutoAnything.cohttp://www.autoanything.comm!